Everyone is now opted in to the new AdWords UI, but not everyone is excited about it. Remember when Facebook changed its UI in 2010 and people were outraged? Below are two screenshots of Facebook when I joined in 2007 versus when it was redesigned in 2010. Can you imagine going back to either of these versions, now that we have the Facebook we know and love today? People hate change, but change is good. 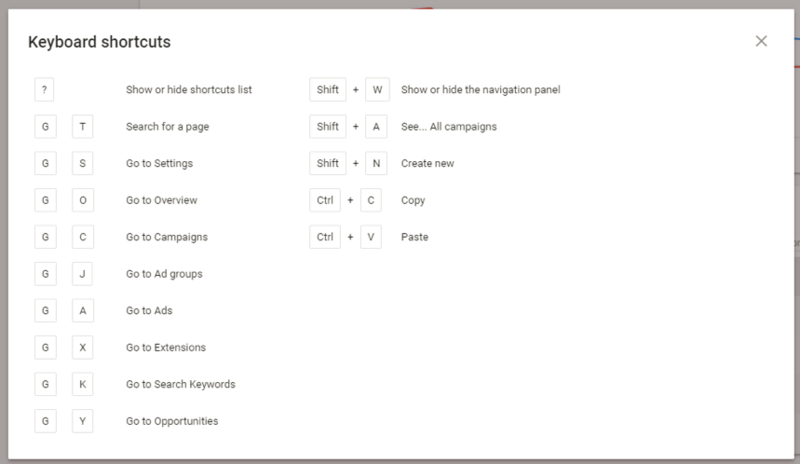 In five years we’ll look back at ourselves and laugh about how resistant we were about the changes to the new Google AdWords UI, but in the meantime, I wanted to provide you some tips to ease the transition. Be intentional about using the new UI. Set aside an hour a day or designate a project, and commit to going start to finish in the new UI. For me, I was recently transitioning agencies and getting all new clients, so I dedicated a few clients that I would solely manage in the new UI. Submit feedback. The benefit to trying to transition yourself before the old UI goes away is that there’s still time to submit feedback if there were features in the old UI that no longer exist! If there are missing features, your fellow marketers will thank you for bringing them to Google’s attention. Don’t throw in the towel. My first instinct when I can’t find something in the new UI is to revert back to the previous UI. We’re all busy and I know it’s quicker to go backward and access the data the old way, but take an extra minute and figure it out. So far I haven’t found anything I could do in the old UI, that I can’t do in the new UI (shocking, right?) Below, I’ve shared a couple of tricks to accessing the views you’re comfortable seeing. There are now more options in the top nav, which is now the side nav. For example, ‘Device’ now lives on its own, as opposed to being tucked away under the ‘Settings’ tab. I’ll spare you the boredom, and let you explore the side nav on your own. I’ll focus on the seemingly hidden features in the new UI- the features that took me a little more clicking around to figure out. Most notably different, in my opinion, is the elimination of my beloved ‘Dimensions’ tab. Luckily, I’ve found that all of the features I normally use still exist; they’re just more intuitively tucked away within tabs to which they’re relevant. Navigate to the ‘Locations’ tab. At the top of the screen, look for the ‘More’ option. Choose either ‘Geographic’ or ‘User Location’. As a refresher, the ‘Geographic’ report shows the location that trigger your ad, while the ‘User Location’ report shows where the searcher was physically located when your ad was triggered. To view more granular data, click into a particular country, then you’ll get a list of location segmentation options. Finally, if you need a more comprehensive view across countries, click on the graph icon in the top right of the screen. Next, click the option for ‘Predefined Reports (formerly Dimensions)’, then choose from ‘Geographic’, ‘User Locations’, or ‘Distance From’. I use this all the time for intraday budget pacing, so I panicked when dimensions disappeared in the new UI. Click on the graph icon in the top right of your screen. Select ‘Predefined Reports (Formerly Dimensions)’. Choose ‘Time > Hour of Day’. Change your date range to compare two dates to see a by-hour breakdown of performance. Click the three vertical dots, next to the graph icon. Under ‘Planning’, you’ll see an option for ‘Keyword Planner’. Click this will open the normal keyword planner to which you’re accustom. Clicks the three vertical dots, next to the graph icon. To view this across all campaigns, ad groups, or keywords, select ‘More’ at the top of the screen, then select ‘Auction Insights’. To view this across select items, check ‘Specific Items’, then you’ll see options to appear to edit, label, or go to auction insights. Click the donut icon, next to the filter icon. Select ‘Segmentations’ from the dropdown list. The same rollups by segment still exist at the bottom of the page. Click the on the ‘Additional Features’ next to the columns icon, then select ‘Additional Items’ to add to your current view. This is a little more intuitive to understand based on what view you currently have open. Showing ‘Paused,’ but not removed is the same view as ‘All but removed’ in the previous UI. Similar to the old UI this setting will trickle down through your other views. For example, by selecting ‘Show Paused’, you will now see data from paused campaigns in the ‘Device’ tab. When in the new UI if you simply enter a ‘?’, yes just the key command ‘shift + /’ you’ll be able to view all the keyboard shortcuts available in the user experience. By learning these shortcuts early will help save time, and even limit having to learn in what tabs your favorite views and dimensions are hidden. 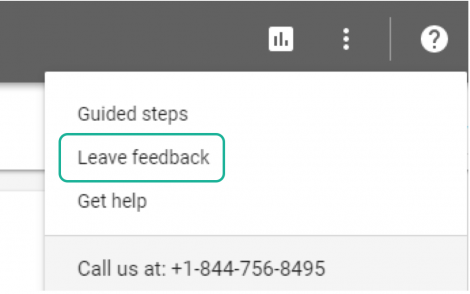 What features have you found within the New AdWords UI? Any tips you can share? Comment and let us know! Laura is a Director of Digital Advertising at Wheelhouse DMG, in the Richmond, Virginia office. As part of the Digital Advertising practice, she works with clients and other team members to map the best online paid advertising strategy and combines initiatives across search, social, display, and Amazon to help clients maximize performance.